This image shows a region of the CANDELS GOODS-South field, which is one of the fields used in this study. 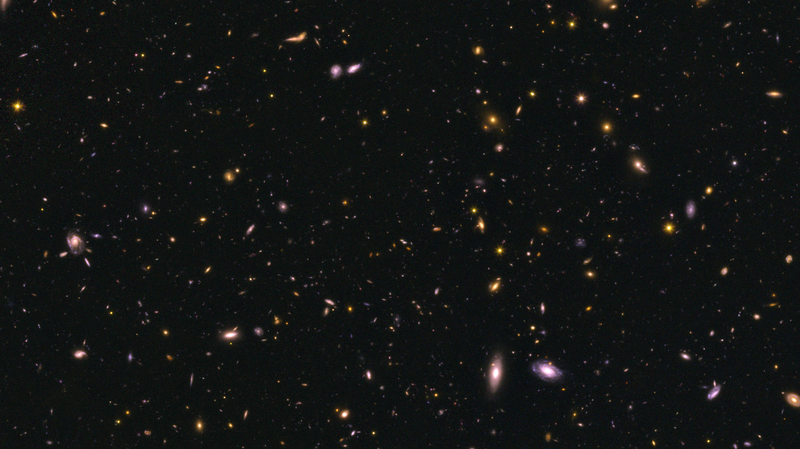 This image combines data taken from Hubble Space Telescope's optical and near-infrared cameras, and contains galaxies at a range of distances. The larger galaxies are relatively close by, while the smallest specks hail from the earlier universe. Some of the smallest dots in this image are those used in this study; their light is coming from 0.5 to 1.5 billion years after the Big Bang.